I recommend this waffle maker especially if you have a Darth Vader fan in the family. It can also be an ideal gift item in case you are looking for an ideal gift for them. It also takes up very little space on the kitchen counter and it is very easy to store. 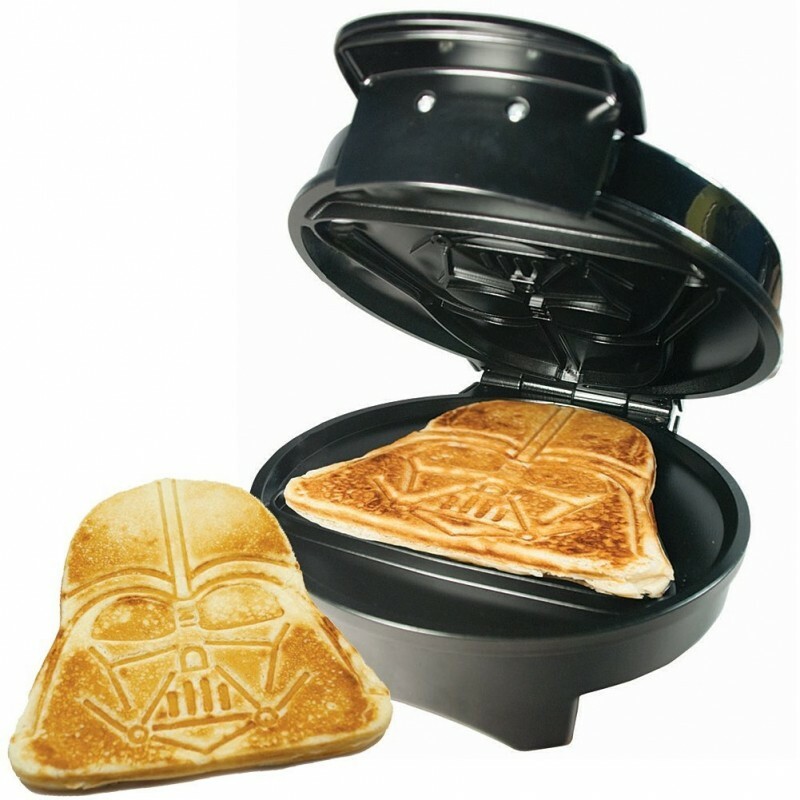 The only disappointing thing about it is that it does not make very crispy waffles. It is easy to store since it is designed to be stored in an upright position and the power supply cord wraps around the base. It does not take that much of storage space since it comes in very small dimensions. It is very easy to clean thanks to the fact that it comes with non-stick cooking plates. 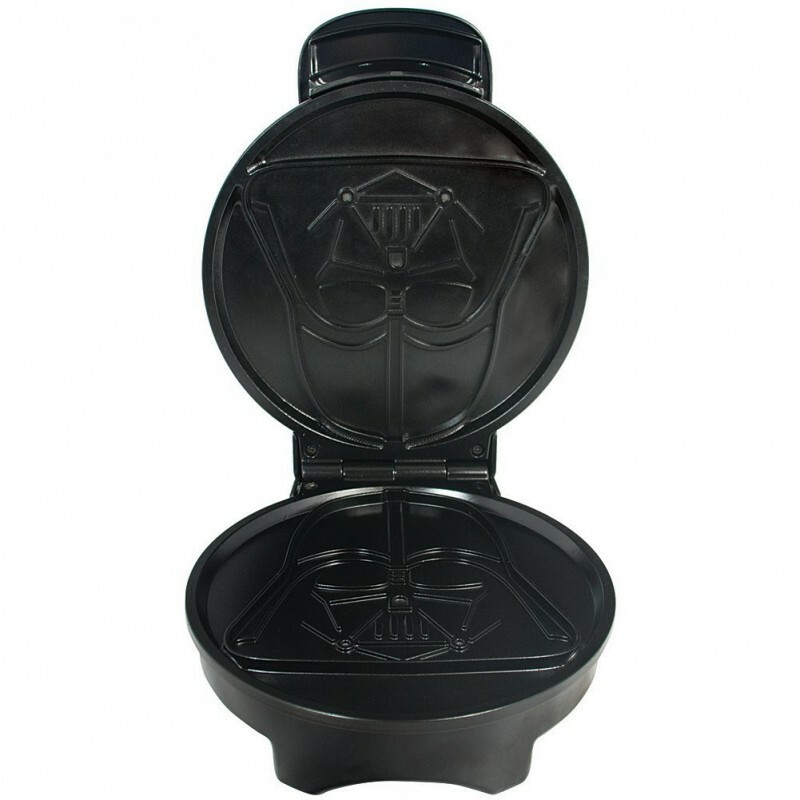 It will entice your kids to eat their waffles since the waffles are Darth Vader themed especially if they are Star Wars fans. 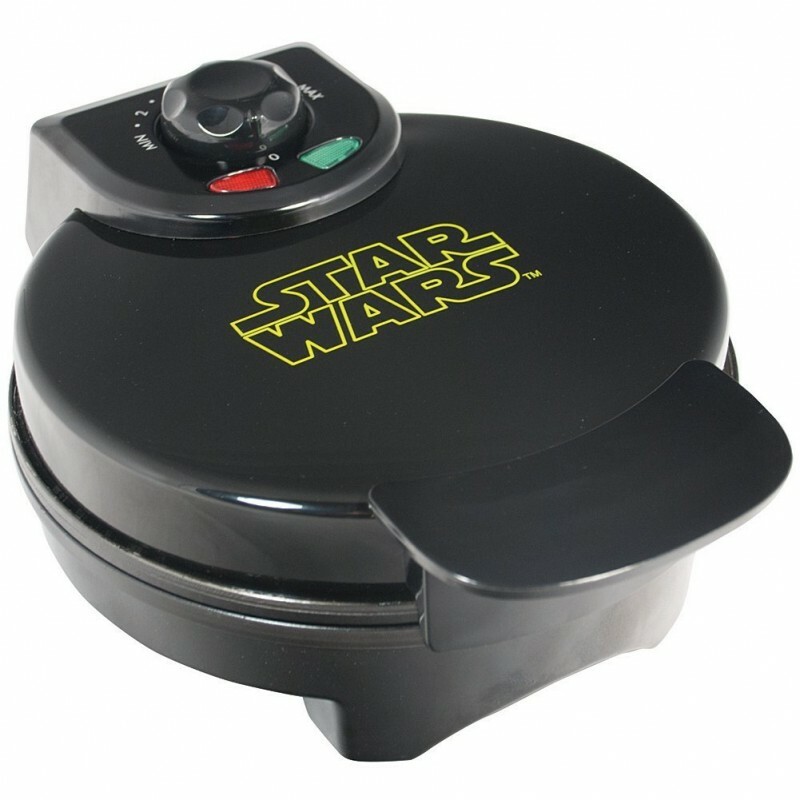 It also comes with dual indicator lights that will ensure that you know when to add the butter and when waffles are ready. It is quite durable since it is made up of stainless steel which is quite strong. The grooves on the waffles are very shallow and the waffles do not come out very crispy.